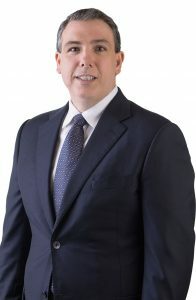 Neil D. Overholtz specializes in pharmaceutical litigation, and has successfully handled thousands of defective drug and medical device cases, including fen-phen, Rezulin, Baycol, Bextra/Celebrex, Vioxx, Medtronic Defibrillators, and Guidant Defibrillators. Recently, Mr. Overholtz has the distinction of having been appointed as national counsel on the Plaintiffs’ Steering Committees for several federal products liability MDL’s (Mullti-District litigations), including the Trasylol MDL pending in federal court in West Palm Beach, Florida, before the Honorable Judge Middlebrooks, the Viagra MDL in the District Court in Minnesota, before the Honorable Judge Magnuson, as well as the Medtronic Sprint Fidelis Lead Wire MDL before United States District Court Judge Richard Kyle. Additionally, Mr. Overholtz has served as co-lead counsel in the In Re America Online, Inc Version 5.0 Software Litigation, MDL Docket No. 1341 (S.D. Fla), helping to negotiate a cash settlement for affected AOL members in excess of $15 Million as well as significant injunctive relief. Mr. Overholtz has also recently served as co-chair of the Defective Medtronic Pacemakers and Defibrillators MDL discovery committee, and lead the firm’s efforts in national litigation, which resulted in a settlement of over $100 Million dollars. United States District Judge James Rosenbaum appointed Mr. Overholtz, to serve 25 of the Plaintiff’s Steering Committee Fee Committee. Mr. Overholtz also served a key role on the Guidant Defibrillators and Pacemakers MDL, which resulted in a settlement of over $200 Million dollars. In the Guidant MDL, Mr. Overholtz was appointed by the federal court as chair of the Guidant National Settlement Allocation Plan Committee, and was appointed to serve as a member of the Settlement Allocation Committee. He is also co-chair of the AAJ Bausch & Lomb Contact Lens Solution Litigation Group. Mr. Overholtz limits his practice to the areas of: pharmaceutical litigation, medical device litigation, consumer class actions, medical malpractice, wrongful death and personal injury; and is currently involved in the following matters: Avandia, Trasylol Heart Surgery Drug cases, Medtronic Sprint Fidelis Lead Wires, Viagra NAION Vision Loss Cases, Bausch & Lomb ReNu Contact Lens Solution, and Medical Malpractice claims. Mr. Overholtz graduated from the Stetson University College of Law in 1999. Before attending college, Mr. Overholtz graduated Valedictorian from Crestview High School in Crestview, FL. While in law school, Mr. Overholtz was an associate member of the Stetson Law Review and participated in Stetson’s Trial Advocacy Program which was ranked number one in country by U.S. News and World Report from 1995-1999. Mr. Overholtz received Highest Grade Honors in several classes including Torts and Property. During law school he was nominated three times to the National Dean’s List of law students. In law school, Mr. Overholtz served as an Honors Intern to the Honorable Elizabeth Jenkins on the United States District Court for the Middle District of Florida. From 1999-2001 Mr. Overholtz volunteered as coach for the Tate High School Mock Trial Team, who won the 2001 Florida State Championship, finishing 6th nationally. Mr. Overholtz is currently licensed to practice before all Florida State Courts, all United States District Courts of Florida, the 11th Circuit Court of Appeals, and the U.S. District Courts for the Western District of Tennessee and the District Court of Colorado. 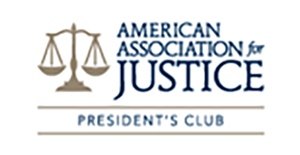 Mr. Overholtz is a member of the Escambia-Santa Rosa County Bar Association, the American Association for Justice, the Florida Justice Association, and the American Bar Association. Mr. Overholtz is also a regularly invited speaker at CLE programs for other Practicing attorneys in the areas of electronic discovery, deposition taking skills, pharmaceutical litigation, Medico-legal issues, and complex mass torts.